Clouds are the neglected treasures of our atmosphere. They transport the precious commodity we rely so heavily upon, yet our interactions with them remain distant – at worst, we’re restricted to bitter submission to their inconvenient, approaching thunderheads, and at best, we drift away in a long, detached gaze at them through the window of an airplane. 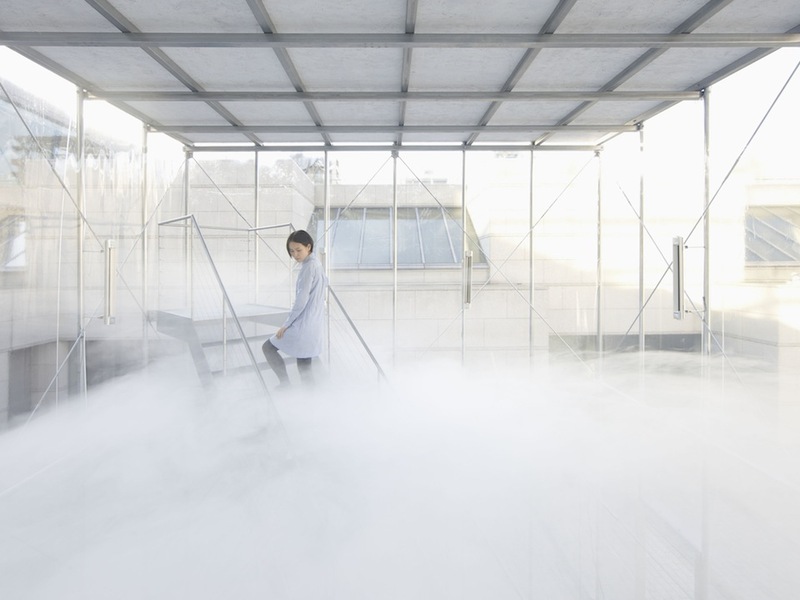 To eliminate this separation between us and these vaporous creatures, Tetsuo Kondo Architects and Transsolar created Cloudscapes at the Museum of Contemporary Art in Tokyo. The careful design replaces our passive and distant aerial observation with direct experience, inviting visitors to drift above the clouds and sift their fingers through the wispy, silken texture. The 20-foot tall Cloudscape is wrapped in a transparent elastic vinyl to provide a surreal experience. Begin by stepping into the artificial atmosphere to feel the veiling heaviness hovering above. Climb the stairs and hesitate a moment to feel the dreamlike disorientation as the swollen vapor surround you. Ascend further to exit the dense membrane as it fades into translucent haze. Precise control of the temperature and humidity is what keeps the cloudy layer aloft. The different strata separate the environment into three layers: a cool and dry area that forms the base, a hot and steamy layer that compresses from the top, and in the middle emerges the warm, humid layer of condensed water droplets that we know as clouds.